Taking windows as an example the customers product comes to us as either 'bar length' or as made up 'virgin frames' e.g. Frames manufactured but everything stripped , handles, hinges, etc. We request this done to the frame so that when we mask the frame on the areas that don't need painting , we can get into all the nooks and crannies , without the handles etc getting in the way. Once masked the product is cleaned thoroughly with special cleaner, without using this cleaner the finished painted surface will not adhere. 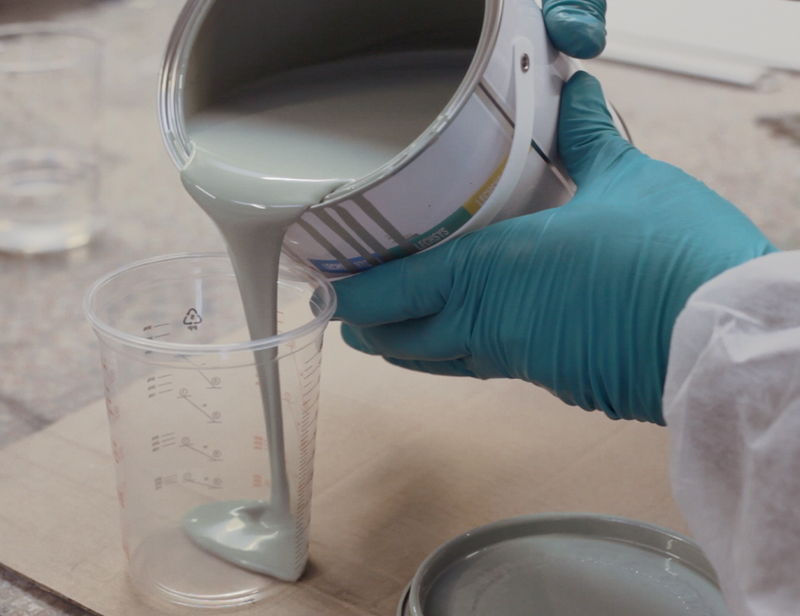 Once thoroughly clean the product is laid out in the spray area, we have two spray areas available so we can use both at the same time if its a large quantity to paint or paint two different jobs, e.g. different colours in each shop. 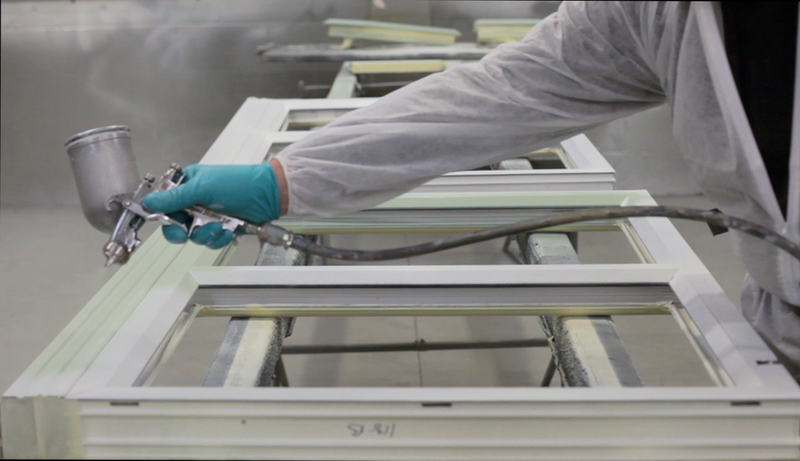 We spray the items with a guide coat first to ensure that there is no contamination on the profile being sprayed. When that is touch dry the area is gentle scotched/de-knibbed to get rid of any imperfections, e.g dust , plastic swarf etc that may have fallen into the guide coat. After this slight sanding, the area is wiped and blown down ready for the top coat. The top coat is then applied ensuring that there is a nice even finish all over. Once the frames etc are touch dry, in approx 15 min they then can be moved. The finished frames etc are then moved out of the painting area and stood in the drying area awaiting full curing of the paint. Once fully cured the masking tape is removed from the none painted side and the painted side is then filmed or wrapped to safeguard the painted finish. The products are then collected from our facility ready for installation.